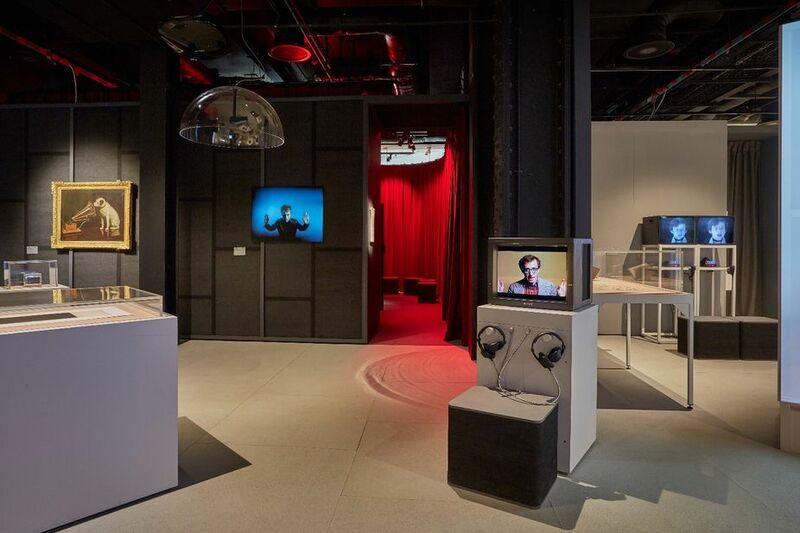 The EMI Archive, particularly the key part of it (the first 50 years) that is the responsibility of the Trust, was, and maybe still is one of the great secrets in the world of music history. However, in the last few years, our archivist and trustees have been inviting a number of influential and interested organisations to begin to understand the unique importance of our collection, with the desire to make more of it available to researchers, exhibitions and anyone wanting to find more about the history of recorded music. It goes without saying that all visitors are amazed by the breadth and depth of our treasure trove. Among the more recent manifestations of this interest are these very exciting projects, in which we have played a part. This is a major TV series, due to be screened in America and here on BBC4 this May which tells the story of the birth of popular recorded music in the USA. The archive became aware of it when we were approached by one of the production company’s researchers. Seemingly in their detailed search for examples of some of the earliest and most important recordings of American popular song, country, blues, hillbilly etc., they found that a large number of them were in too poor a condition to be useable. Then someone told them that very early in its history, The Gramophone Company (the fore runner of EMI) struck a deal with RCA in America, whereby each company would share its recordings with the other. As result a copy of every recording by RCA was shipped to Hayes. 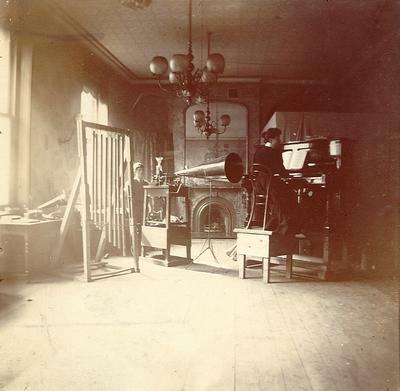 Unsurprisingly, in those early years, The Gramophone Company was primarily if not exclusively interested in recordings by British singers and musicians, and the American discs were carefully stored away. 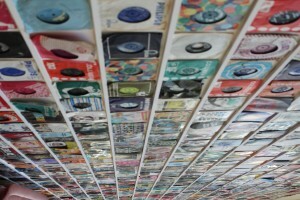 By the time the music industry became interested in issuing recordings form its history, the link between EMI and RCA had long been severed (RCA is now part of Sony Music), and these thousands of discs remained unplayed and untouched in the Hayes vaults. Such was American Epic’s delight in realising that we had pristine copies, they borrowed over 70 discs, which were carefully hand couriered to America, where they were copied and the results will presumably feature strongly in the series. Look out for it, though we expect it will receive a lot of publicity when the screening dates are announced. None of these recordings was EMI property, but the wisdom of the archive not to dispose of anything under its auspices is yet another illustration of its uniqueness! The Wellcome Collection, a charity devoted to human wellbeing, has just ended an intriguing exhibition at their Euston Road museum site. ‘This is a Voice’, in a series of stand-alone areas explored a wide range of topics associated with the human voice and communication in a very hi-tech way, all of which prompted immediate reactions varying from surprise and disbelief to bafflement and mystery! 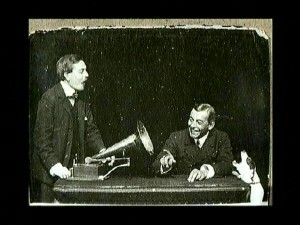 Everything was up-to-the minute technology, with the surprise ending of a Barraud ‘His Master’s Voice’ painting to effectively illustrate the beginning of recorded sound. Image courtesy of the EMI Group Archive Trust. The People’s History of Pop (PHOP) is a year-long BBC initiative involving local and national radio and television and centered on the musical memories and collections of “the man in the street”. The archive has been featured twice. Firstly, BBC Radio London in co-operation with the company redeveloping the old EMI factory site in Blythe Road, Hayes, set up a special studio for a day and invited Hayes residents, a huge percentage of whom had worked, or had relatives who had worked for the company over the years since its 1906 opening. 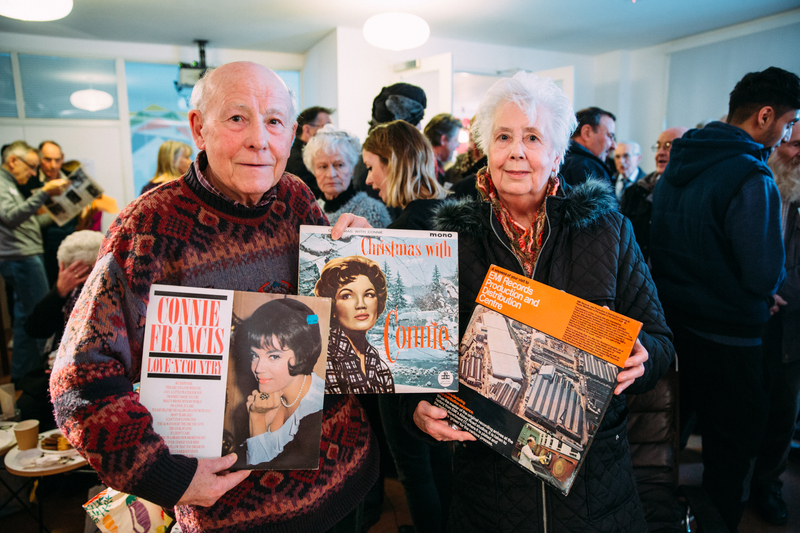 They came in their hundreds with their memories and artefacts and helped create a fascinating programme, as well as renewing old friendships. Of particular interest to them was the collection of archive photographs showing the many different aspects of EMI at Hayes, and the staff who did the work. Amazingly, two ladies whose job was to check that the gramophone records were blemish-free, found they were both in a photograph they had no memory of ever having been taken! 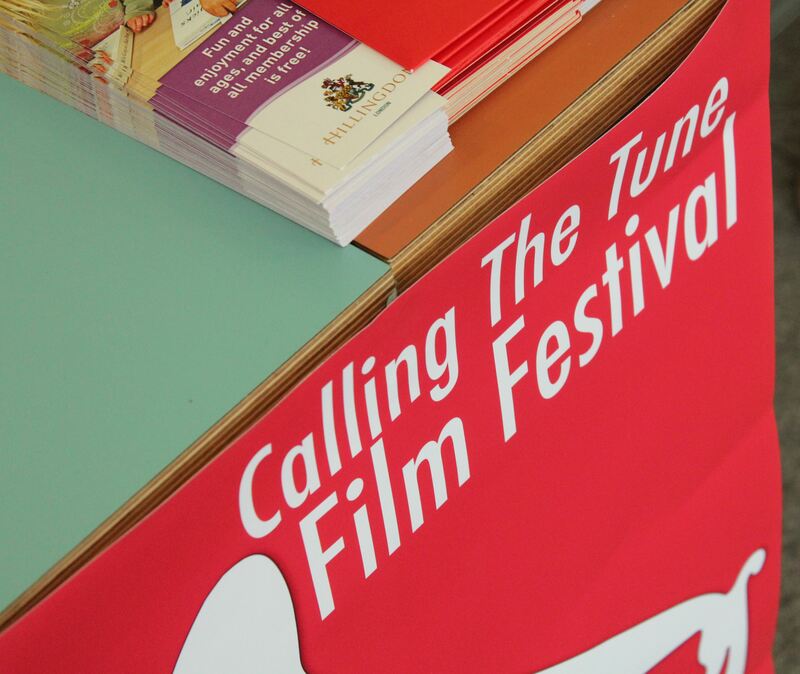 The EMI Archive Trust were invited to screen some selected film’s from our ‘Memories of EMI Campaign as part of this years ‘Calling the Tune Film Festival’ – Sunday 22 June 2014 at The Old Vinyl Factory, Blyth Road, Hayes, Middlesex UB3 1HA. This session included a presentation from Hayes students on their project on the history of Hayes, followed by a screening of ‘At Your Service (1962)’, a comedic short film made by Hayes Town Council in the 1960s about the services provided in the borough. We have been overwhelmed by all of the incredible stories and images sent in via our ‘Memories of EMI Campaign.’ We are now looking for your stories and memories of EMI, the Company, the music, the factories, the artists as well as the studios. We are hoping to capture your memories on film to share and keep for future generations. Help us to unlock the memories stored in EMI’s great legacy! Take a look at our latest Memories on film with Tris Penna at Abbey Road Studios. 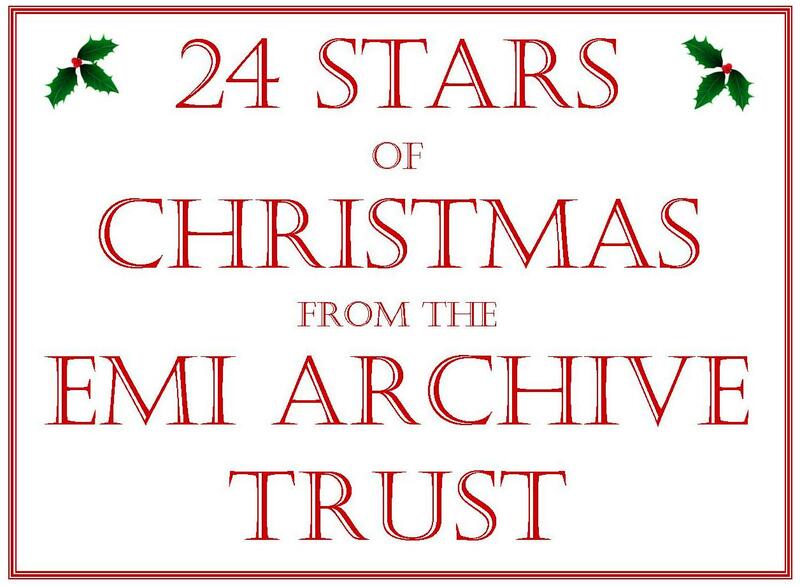 To wish you and those close to you a very Merry Christmas, we have launched our very own EMI Archive Trust Advent calendar, with memorabilia from the early days of The Gramophone Company being shared in the 24 days of December leading up to Christmas. We have Christmas catalogues, the big stars of the era and much more to celebrate this wonderful time of year. FACEBOOK or TWITTER to keep up to date with our 24 stars of Christmas! 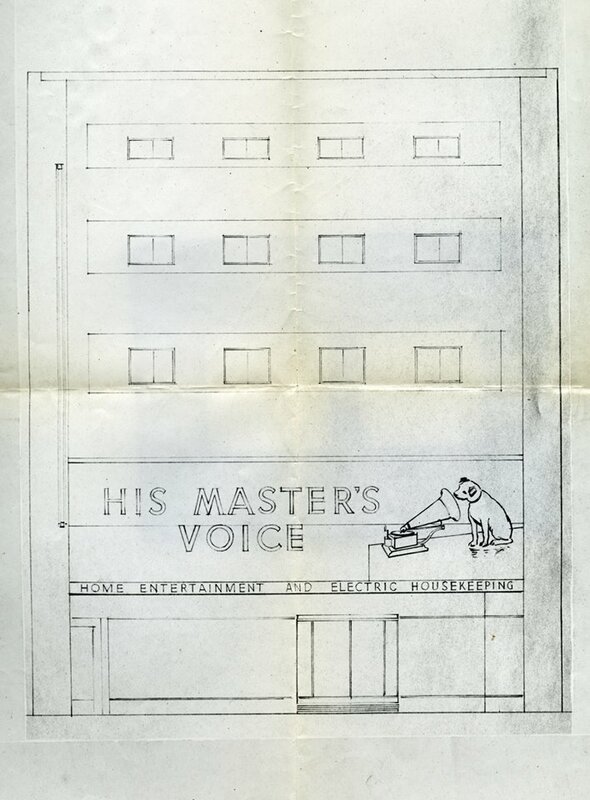 The EMI Archive Trust supplied a scan of the original 363 Oxford street shop designs from the 50’s which have been used as inspiration for the New His Master’s Voice Store at 363 Oxford Street in London. 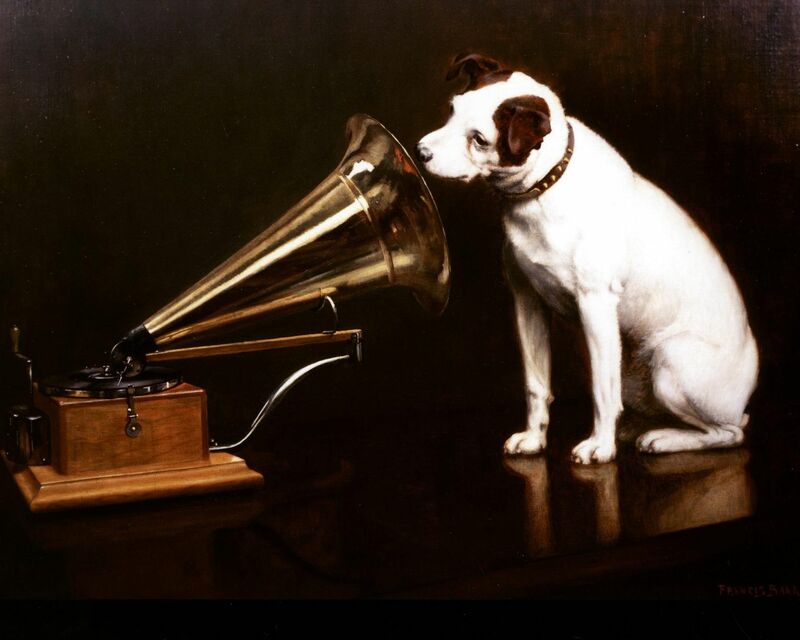 We are so proud to see HMV using its heritage to cement its place on the high street. Take a look at more pieces from our paper collection here. 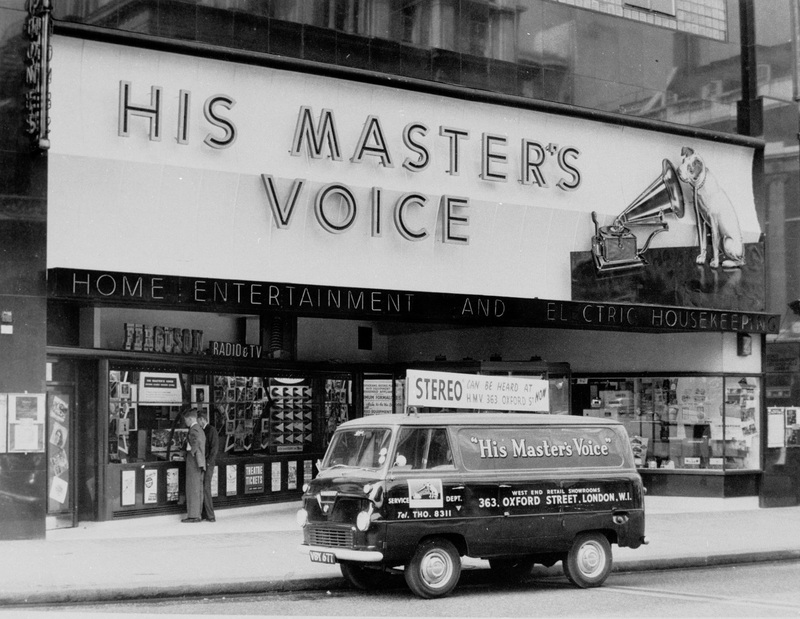 HMV flagship store front when the store first opened. The strong legacy of EMI is a testament to the people who worked for the company across the years. The Trust would like to celebrate those employees with our ‘Memories of EMI Campaign’. We’d love to hear from previous employees, family members and friends of employees to learn about their stories of what life was like working for EMI. We are looking for people who worked in the factories, studios, record company offices or anywhere else. We are interested in pictures at work, socials, sports teams and even the pub! 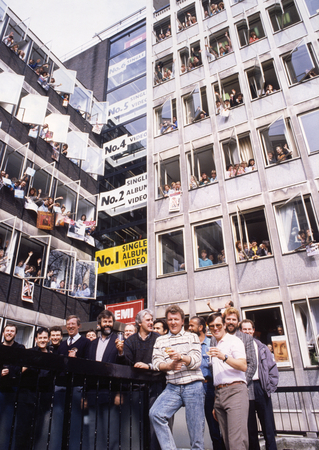 Have you got a photo of you and your colleagues working or playing at EMI? We’d love to see your picture and learn who is in the photo and what is going on? We look forward to unlocking the memories stored in EMI’s great legacy. 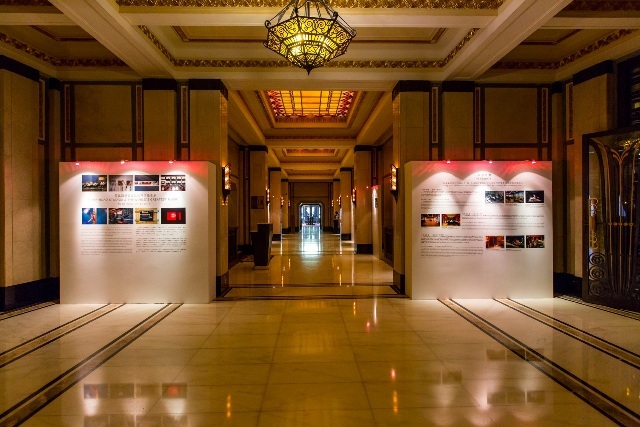 The World’s Greatest Music Exhibition’ at the Fairmont Peace Hotel, Shanghai , runs 23 September until 22 November 2013. The Trust has been invited by Abbey Road Studios’ to share some of the archives wonderful heritage photographs depicting the early years of the Studios. These feature as part of an exciting new exhibition which celebrate Abbey Road’s history. 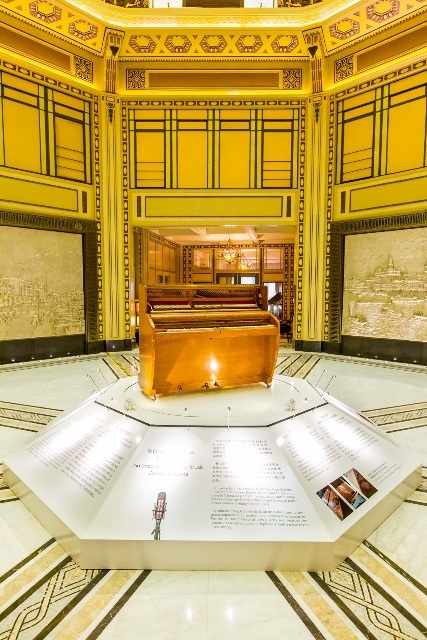 The center piece on loan from Abbey Road Studios’ is one of their famous Challen pianos played by many famous artists over the years. One of the famous Abbey Road Studios’ Challen pianos played by many famous artists over the years will be on display throughout the exhibition. Calling The Tune Film festival (21—23 June 2013) was a collaboration between The EMI Group Archive Trust, Cathedral Group PLC and Brunel University supported by Film London and The British Film Institute. The festival was hosted on the old EMI factory site; ‘The Old Vinyl Factory’ and showcased the wide cultural heritage of Hayes, including some never before shown footage of the Old EMI factory before its closure in 1988. This Mutoscope was commissioned by the German branch of the Gramophone Company, and sent to the London branch in October 1900. It comprises 700 photographs mounted onto cards and attached to a drum wheel, when the drum is turned in a ‘What The Butler Saw’ type of machine, it gives the impression of movement. 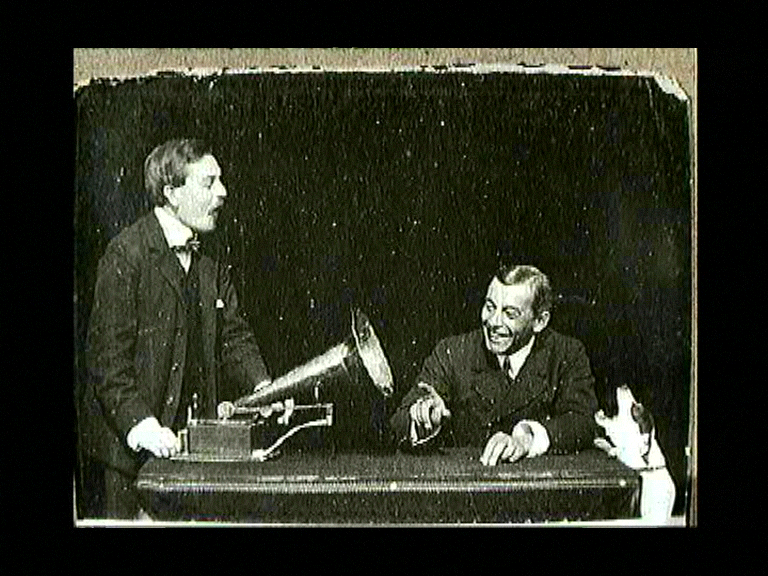 The film shows one gentleman preparing a gramophone while another watches. These gentleman are said to be Theodore Birnbaum, then Manager of the Berlin Sales Branch and Sinkler Darby, one of the Gram Co.’s recording experts based in Germany. Soon Nipper appears and starts to howl at the sound coming out of the gramophone. The men watch on in amusement and then lift up the dog – with hilarious results! This table model mutoscope machine complete with the Nipper film were still at the company’s office in the 1960’s, but disappeared when the record factory moved to Uxbridge Road. Happily, the mutoscope drum – albeit without the machine – has since been returned to the EMI Archive Trust. 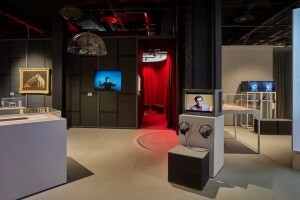 The film was on display at the EMI Centenary Exhibition. Several members of Alan Blumlein’s family came to watch the films and support the event. Alan Blumlein (Grandson) with sons William and Lewis. The evening continued with Ken Loach’s new documentary, The Spirit of ’45, and on Sunday afternoon with a selection of work featuring Hayes in the fifties and sixties. The festival concluded with a showing of the EMI film ‘The Railway Children’ in one of the recently refurbished factory buildings. Richard Mervyn, the son of one of the film’s actors, William Mervyn, was in the audience, and spoke at length to the crowd about his father’s work on the film. 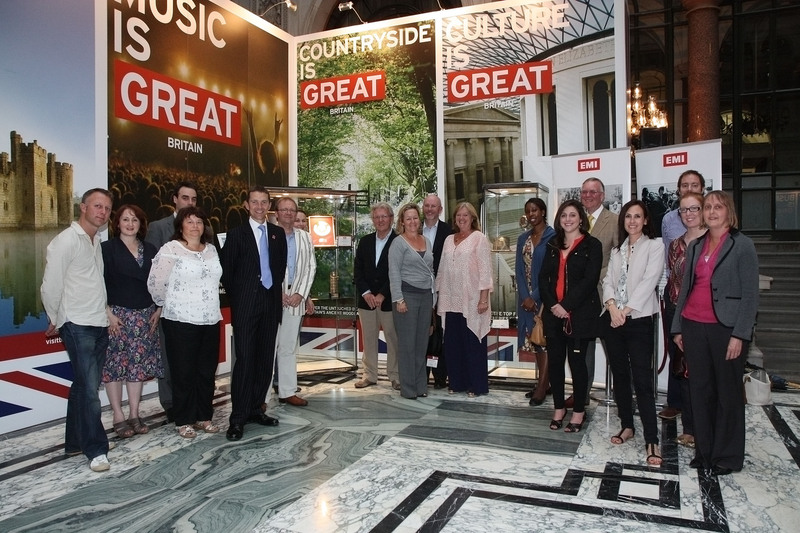 EMI was invited to promote the UK through the GREAT Campaign which showcased the best of British in design, music, innovation and many other categories. The display was held in the Foreign and Commonwealth Offices during the London 2012 Olympics and Paralympic Games. In the run up to and throughout the London 2012 Olympic and Paralympic Games the Foreign and Commonwealth Office (FCO) and Number 10 played host to an unprecedented number of visiting international dignitaries, VIPs and international media. This presented an unmissable opportunity to promote the UK through the GREAT campaign, showcasing the best of GREAT British music, design, industry and business. 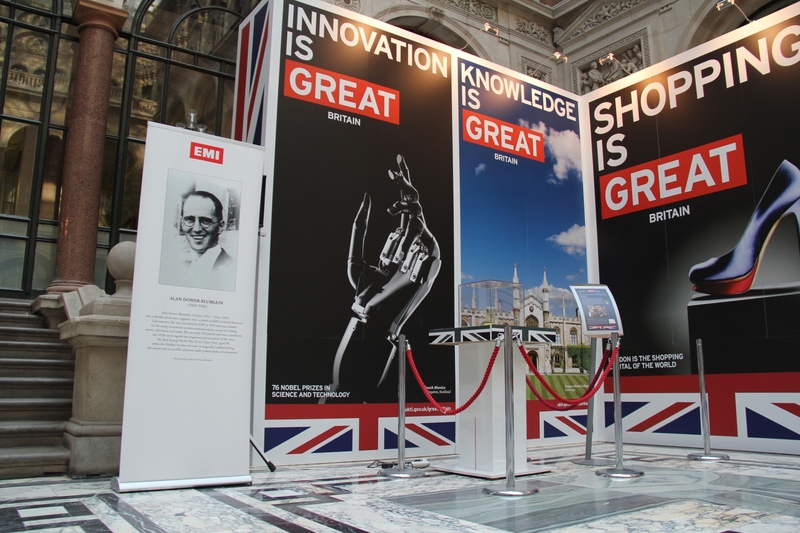 The FCO display consisted of products, exhibits and visual materials representing each of the GREAT pillars. 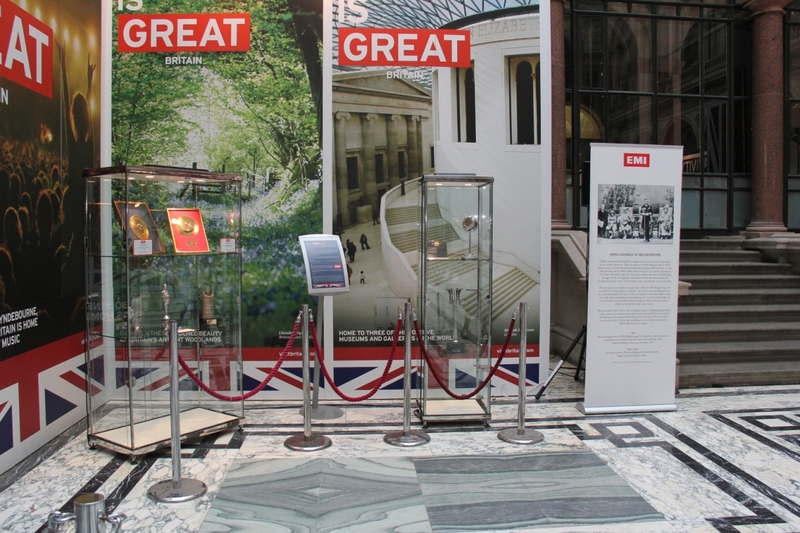 Throughout the London 2012 Games the display was held in the spectacular FCO Durbar court; a space that was used entertain and engage many of international audiences and media. Pictured representing EMI-alongside campaign organisers and Foreign and Commonwealth Office staff- are Dave Murray (Global Account Manager); Joanna Hughes (Heritage Curator, EMI Group Archive Trust); Wayne Shevlin (Director of EMI Archive, EMI and trustee of EMI Group Archive Trust); Caroline Hilton (Artist Relations & Events Manager, EMI); David Hughes (Chairman EMI Music Sound Foundation and EMI Group Archive Trust); Janie Orr MBE (Chief Executive, EMI Music Sound Foundation); Duncan Bratchell (SVP Tax and Treasury, EMI); Abigail Lewis (Charity Coordinator, EMI Music Sound Foundation); John Deacon ( trustee, EMI Music Sound Foundation); Louisa Rose (Manager, EMI Music Sound Foundation) and Jackie Bishop ( Archive Manager, EMI). BPI senior communications manager Lynne McDowell also attended. Welsh language history series Darn Bach o Hanes (a little piece of History) recently visited the EMI Group Archive Trust on the hunt for the first recording in the Welsh language. On March 11th 1899, Madge Breese, niece of Trevor Lloyd Williams then Chairman of The Gramophone Company, entered a dingy recording studio in the basement room of the Old Cockburn Hotel on Maiden Lane to record the Welsh National Anthem – Hen Wlad Fy Nhadau , AR HYD Y NOS (All Through the Night) and BELLS OF ABERDOVEY. Miss Breese’s career as a recording artist appears short lived as she did not return to Maiden Lane to record again, however her legacy as the first artist to record in the Welsh language lives on in this little piece of history. The Trust would like to thank the team at Cwmni Da for bringing this story to life. First screened S4C 26 August 20.25 to 21.00, English translation will soon be available through the EMI Group Archive Trust.